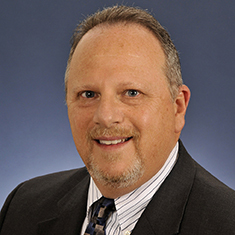 David Halberstadter serves as deputy general counsel for the firm's four California offices. He is an established and well-respected presence in the entertainment industry, widely known for his clear, thoughtful advice and strategic litigation judgment in intellectual property and other entertainment matters. David represents traditional, institutional entertainment industry clients as well as new media companies, that come to him for his extensive experience, his practical, business-savvy approach, and his ability to aggressively prosecute and defend litigation relating to all aspects of motion picture, television and new media conception, development, finance, production and distribution. David both prosecutes and defends litigation on behalf of motion picture studios and production companies, television networks and producers, and Internet/new media companies on a wide variety of issues, including: copyright infringement, fair use, parody and termination; trademark infringement and unfair competition; defamation, rights of publicity, rights of privacy and the First Amendment; rights acquisitions and transfers; contract disputes between producers and talent; and production, financing, distribution and licensing matters. David also plays a prolific "behind-the-scenes" role in connection with motion picture, television and new media development. He regularly helps creators of entertainment content answer the question "Can we do this without getting sued?" For example, David frequently can be found at his desk reviewing books, films, screenplays, motion picture and television treatments, magazine articles and other works in order to assess and reduce the risks of third-party claims based upon motion picture and television adaptations of such works. He analyzes often byzantine rights agreements to ensure that his clients actually acquire the rights for which they are prepared to pay significant sums. He also counsels (and, if necessary, defends) his clients with respect to accounting and other claims asserted by motion picture and television profit participants. According to Chambers USA, David's clients say that "He has high levels of expertise across entertainment matters, and is extremely smart and a real fighter." David frequently lectures and writes on topics relating to the rights and obligations of entertainment industry companies, and has served as an entertainment law columnist for the Los Angeles Daily Journal and San Francisco Daily Journal. In 2019, he was selected to sit on Law360’s Media & Entertainment Editorial Advisory Board. Prior to joining Katten, he practiced with Troop Steuber Pasich Reddick & Tobey, LLP.